In a large bowl mix eggs and heavy cream. Add ham and half the cheese to the egg mix. Place your pie crust in the bottom of your cast iron pan. 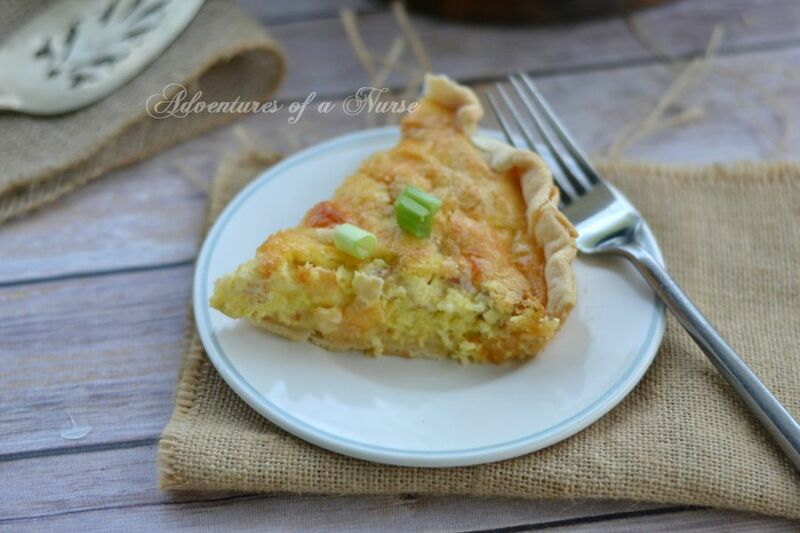 Pour your egg mix in the pie crust and sprinkle remaining cheese on top. Bake in preheated oven at 350 for 30 -40 minutes or until fork comes out clean.